"We talk a lot about culture in the world today. What we say about our own culture is often nonsensical and sometimes downright nauseating. But vanity, lust for power, greed, the belief that 'might is right' and all other kinds of selfishness have nothing to do with culture. Nevertheless, all of these traits are gaining ground throughout the world today." These words could easily have been written today, but they were not. 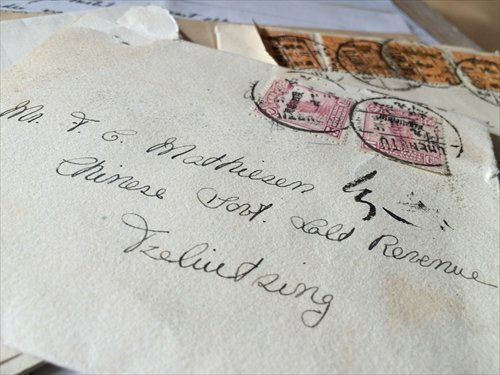 They were written after World War II as part of an autobiographical report on the life of my Danish great-grandfather Frederik Christian Mathiesen in China between 1900 and 1936. A report that I was given after the death of Frederik's son recently. My great-grandfather arrived in China in 1900 to work for The Great Northern Telegraph Company (today GN Store Nord, a Danish manufacturer of hearing aids and audiological diagnostics equipment) in Shanghai. Frederik describes a city where rickshaws, king carriers and horses were abundant in the streets but where there were still no cars, buses or trams. Westerners, such as my great-grandfather, did not mingle with the local Chinese, and several of the public parks of Shanghai were reserved for Europeans. When he arrived, the Western powers were in the process of suppressing an anti-imperialist uprising in the "semi-colony" of China. 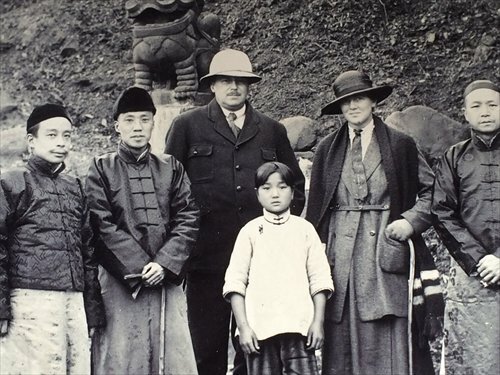 At the turn of the 20th century, only a couple of thousand British citizens lived in China, along with other Europeans including a few hundred Danes such as my great-grandfather. 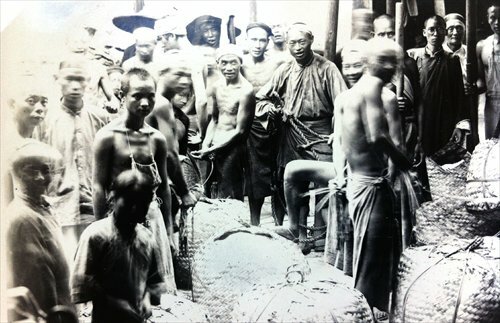 Nevertheless, the British controlled over half of China's foreign trade in a country with over 400 million citizens. One of the reasons for this was that Britain, along with countries such as Russia and Japan, had forced China to sign unfavorable free trade treaties that opened up China to their companies, without them having to pay taxes or comply with Chinese law. Travel accounts from the 19th and early 20th centuries were also remarkably condescending and patronizing towards the Chinese. One example of this is Frederik describing Chinese workers at his office as "not particularly intelligent slant-eyed and long-haired idlers" in a letter to his father written in 1901. But Frederik soon made many Chinese friends, such as his colleague Kung Pah King and the son of the future warlord, president and short-term emperor Yuan Shikai, who helped him get a position as a consulting engineer for the Chinese government. He therefore quickly got a far more positive view of his new home China, the Chinese and their culture. In his account, on the other hand, he describes what he refers to as Europeans of "questionable" character, who break their promises and cheat and deceive the Chinese. He adds, "Despite the many modern amenities we have in the West, I believe that the Chinese might just be culturally superior to us. In the West, political parties are increasingly grabbing power from the people, mainly by buying votes, the Chinese say. They despise this system. The corrupting and demeaning materialism of Western culture destroys true compassion and humanity, as it destroys imagination and the realization of love as the main creative and upholding force in our world." Even though he criticizes the Western political system, it is clear from his travel accounts, inspection reports and letters that he was not a socialist. He left China in 1936, with his wife and three children, when the Red Army marched too close to their home in northern China. He also didn't believe in what he called "the dogma that all people are alike." Nevertheless, he still advocated what he called "the culture of the heart" that he discovered while in China. "True culture is basically a 'culture of the heart,' which is the only true and lasting culture. The culture of the heart promotes a favorable assessment of one's fellow men, a love of all that is beautiful and a loathing of all brutality and violence. It promotes etiquette, politeness and charming behavior. It is to be found in both cottages and castles. It transcends all classes and nations." In the West, we often see our cultures as constantly progressing, constantly evolving in a positive, forward-looking way. But the recent years of constant warfare, increasing inequality, suspicion and mockery of the unemployed and people from other cultures and parts of the world, as well as a materialism that, in leading to an ever-increasing consumerism, has led to a climate crisis that may soon be irreversible, seems to contradict this view. So perhaps we ought to search both within ourselves and outside ourselves in other cultures, as my great-grandfather did 100 years ago in China, to enable us to (re)discover the culture of the heart that he advocated.